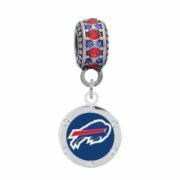 Buffalo Bills Round Crystal Charm $18.99 ea. 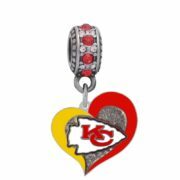 Kansas City Chiefs Swirl Heart Charm (Red/Yellow) $18.99 ea. 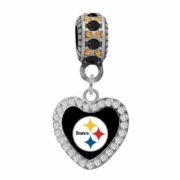 Pittsburgh Steelers Crystal Heart Charm $20.99 ea. 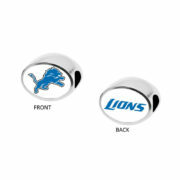 Detroit Lions 2-Sided Bead $29.99 ea. 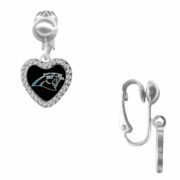 Carolina Panthers Crystal Heart Earrings - Clip On $14.99 ea.